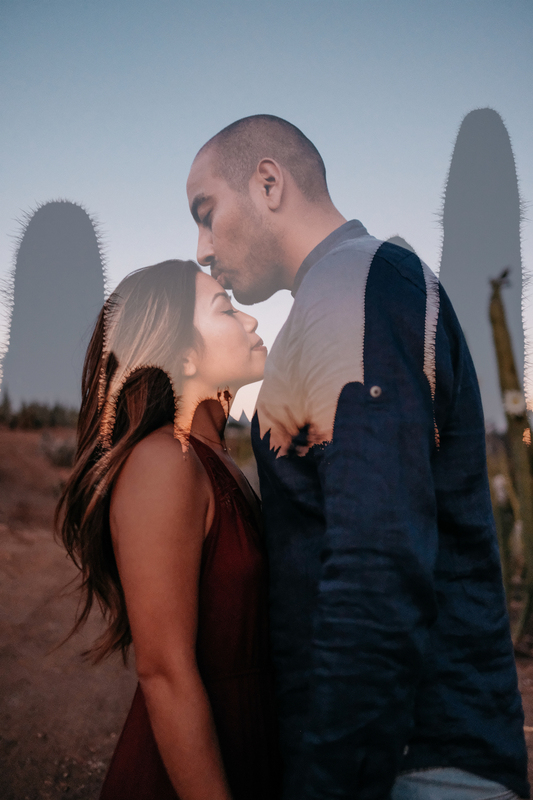 There’s something truly magical about the desert during sunset. 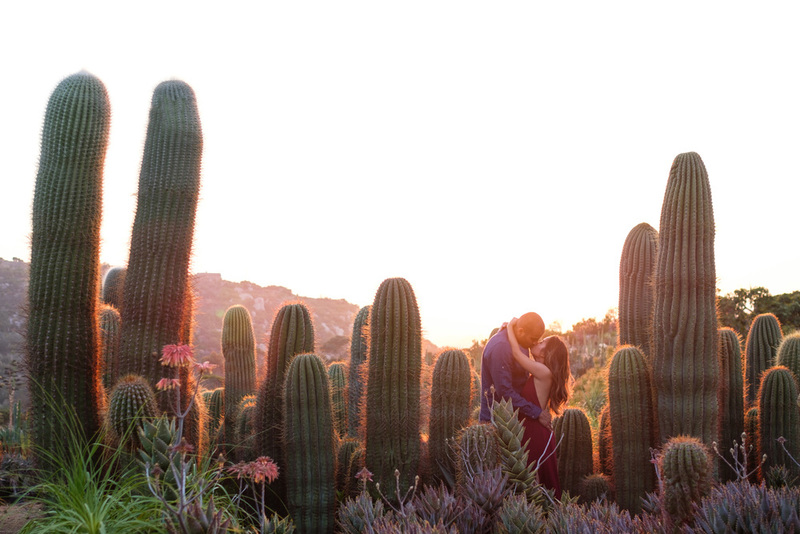 The way the light rests gently on overlapping hills is immensely beautiful beyond words. 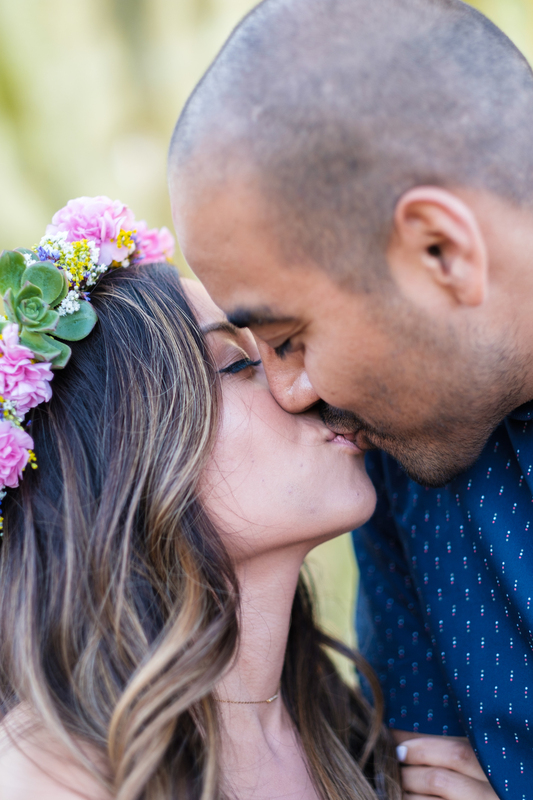 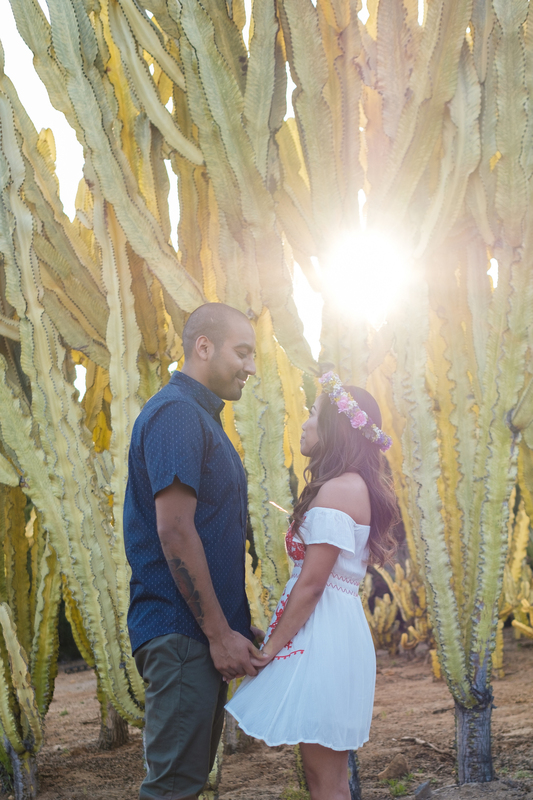 There was no doubt in my mind that the Desert Theatre Nursery in Escondido, California was the perfect place to photograph Jerry and Jemma’s engagement. 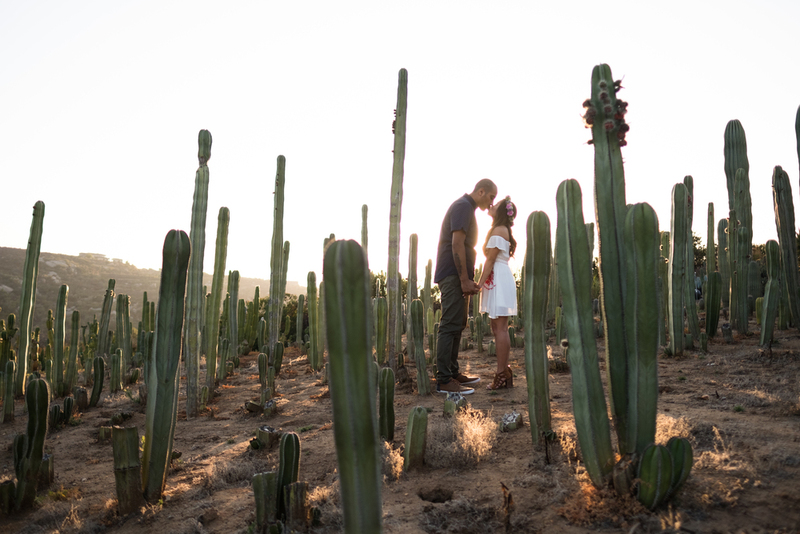 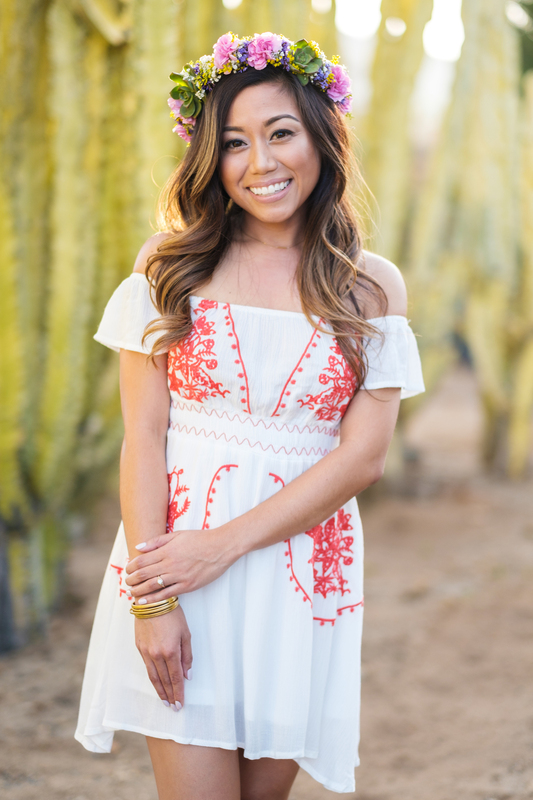 Since the two are planning a destination wedding in Play Del Carmen, Mexico, it was only fitting to hit the desert for a Mexican themed shoot. 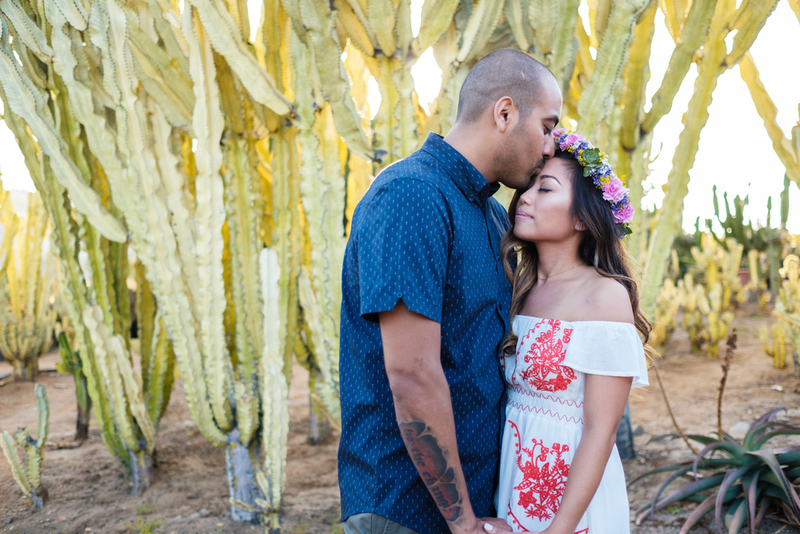 There were cacti, bright colored flowers, and even some tequila shots.